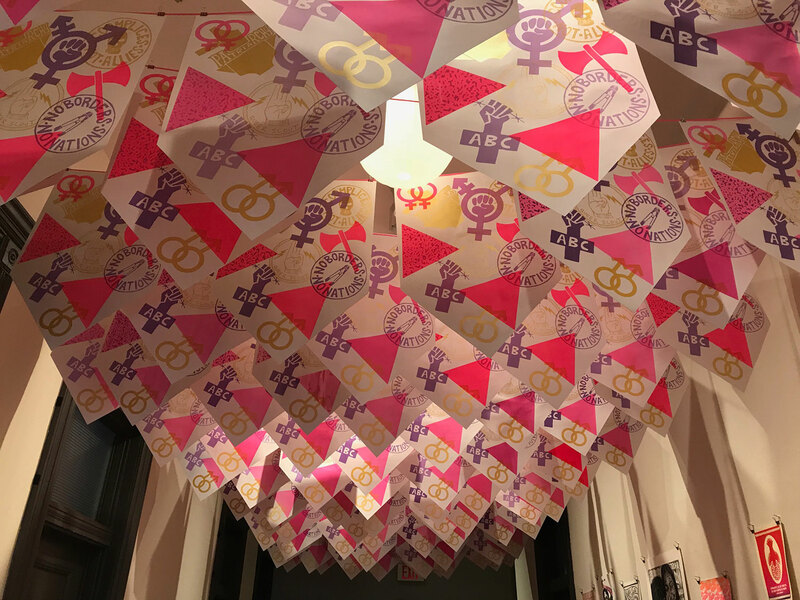 The Gladstone Hotel is pleased to present the 9th Annual That’s So Gay (TSG) exhibition; a group show celebrating new works by LGBTTI2QQ artists curated by Syrus Marcus Ware. TSG is presented alongside the 8th annual 10X10 Photography Project and in conjunction with Nuit Rose & Pride Toronto. The TSG 2018 subtitle, Say My Name, refers to the #Sayhername campaign, centred around the killings of black women, in particular of black trans women, and the massive campaigns around Murdered and Missing Indigenous Women (MMIW) across Turtle Island. Say My Name conjures understandings of a citizenship that is fed up with the status quo and is ready for widespread changes that will benefit black and Indigenous trans women at the centre, borrowing strategy from both Kimberle Crenshaw and the Combahee River Collective. Say My Name also offers a flirty challenge, and equally conjures images of playful camaraderie amongst activists and deep lovership and kinship amounts beloveds. This duality of activism, its playful fun and its struggle in the trenches or its direct action is explored by the artists in this years show. Say My Name also continues the tradition of incorporating a song title significant to LGBTQ communities, this year nodding to Destiny’s Child’s famous song about mistrust, love, and action. The last year has witnessed dramatic arts-based displays of activism within Toronto’s Pride Parade by Black Lives Matter-TO, widespread support for INAC shut downs by Indigenous youth and ongoing actions in support of land defence and water protection. Indeed, 2018 is a time for reflecting on these fires of change, burning bright and largely nurtured by LGBTTI2QQ and two-spirited activists and artists. TSG: Say My Name highlights the need for artistic engagement and responses to propel our activisms into a new dimension.